We had such a great time with our family visiting us in Florida! We got to travel around with them and explore the new interesting and breathtaking places. One of them was the Sebastian Inlet which is not that far away from Cocoa Beach (down to the south) where we usually go for a swim. This place just blew my mind! The waves were so huge that only true surf enthusiasts were in the water chasing their dream. And it was really busy! We enjoyed watching them and hanging out on the beach, searching for shells and simply relaxing. I can't imagine myself being happier than I was right there, sitting with people I love. Do you like picking shells? Have you ever found anything really special? And do you wear accessories to the beach? Honestly, when I go to the beach, I take off everything I value, like rings and bracelets, because I've lost few things in the past. One move in the water is enough for your rings to slide from your hand. Also, the sand and salty water can be aggresive to your clothes. This time, I knew I'm not going in the water and it's a little bit windy, so I wore my new favourite knit jumper from walG and diy ripped jeans shorts. I think it's just the best beach clothes, airy but warming when the wind is cold. Lovely and comfortable sweater from walG, diy jeans shorts, cutesy retro hair band from BestE-shop. 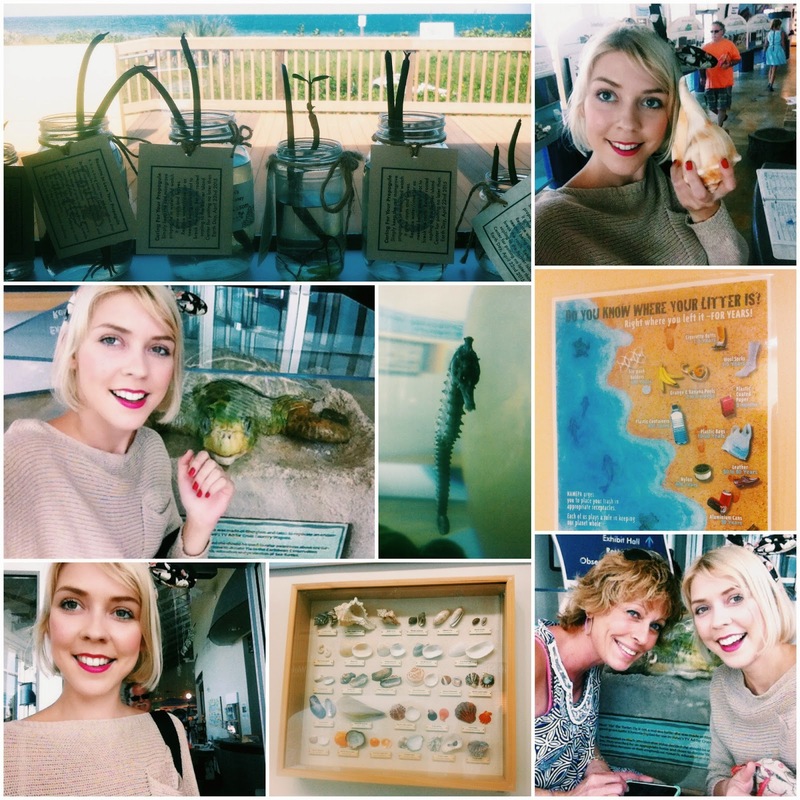 A little photo collage from the educational centre in Sebastian Inlet. Tu hvezdici jsi tam nasla? ty jo! Your photo areso beautiful! So nice!